Natalie Doyle’s book is an exhaustive and brilliant piece of research into the writings of Marcel Gauchet, but beyond that, it is a pedagogically articulated work on intellectual life in France since the 1960s. A major innovative side of the book concerns the internal ties between the thoughts of Marcel Gauchet, Claude Lefort and Cornelius Castoriadis. Until now, at least in the English speaking world, this affinity had not been comprehensively discussed and convincingly shown in reference to their mutual texts. On the other hand, Doyle makes a laudable effort to uncover the intricacies of Gauchet’s work in regard to Foucault. In the crisis of democracy to which Gauchet has dedicated many books, the role of Islam as an imaginary factor plays a double role: as an indicator of the crisis and as a new challenge for the secularization process as well as the role of religion in 21st century Europe. Gauchet’s leaning towards laïcité as a French intellectual is brought into the open by Doyle, critical of some of his tenets in this regard. 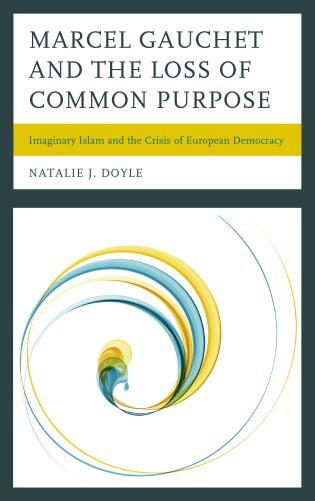 The new book by Monash academic Dr Natalie Doyle, Marcel Gauchet and the Loss of Common Purpose: Imaginary Islam and the Crisis of European Democracy, explores the work of Marcel Gauchet, one of France’s most prominent contemporary intellectuals, to examine the contemporary crisis of European democracy. Dr Doyle examines the threats from ideological co-radicalization associated with the combined impact of economic crisis and Islamic fundamentalism. She locates Gauchet’s ideas in the context of French intellectual history and notes the significant influence upon it of the social and political theories of Cornelius Castoriadis and Claude Lefort, and its reaction against those of Foucault. The book reviews the entire scope of Gauchet’s writings, from the early publications to the most recent publications on the “new world” of neo-liberal individualism, economism, and globalization. The book reveals how Gauchet’s work overcomes many of the misunderstandings affecting current discussions of controversial topics including the European Union, the nation-state, political Islam, the paradoxes of democracy, secularization, and reactionary political movements. It highlights the need for European societies to rediscover their political underpinnings: their capacity to invent a new collective future starting from the nation-state and to adapt to a new mode of international relations on a global scale. To do so, and to counter the threat of radicalization, they must retrieve the lost common purpose encapsulated in the notion of democratic sovereignty. The book is available at Rowman & Littlefield.